Do you remember watching “Dallas Buyers Club”, “The Lincoln Lawyer” or those amazing rom-coms that Matthew McConaughey has played a part in over these years? This handsome, easy-going charmer has done extremely well for himself – considering he is just shy of being 50 now. Considering he was a victim of receding hairline back in the 90s, how does he manage to make his hair look like a million bucks even now? Matthew McConaughey hair is a phenomenon in itself and has never seized to amaze us all. 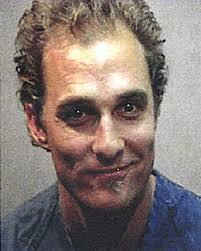 In 1999, McConaughey became pretty infamous for his quirky behaviour off-screen. He was accused of violating a noise ordinance and of having exhibitionist-like tendencies, under the influence of some marijuana that the police confiscated. Notice his mugshot from then clearly showed a thinning mid scalp. 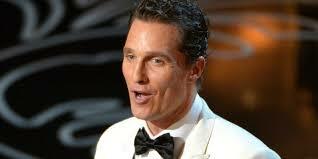 Matthew McConaughey’s hairline was clearly receding at the point during which he must’ve been a 30-year old. 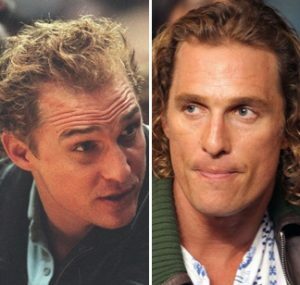 Going by “The Norwood Scale”, McConaughey looked like a 2 or 3 – with thinning hair on the vertex and the first stage of alopecia that needs treatment. Having wavy hair such as McConaughey is an advantage. You can hide your baldness with its volume as it makes you appear to have more hair than you actually do. This is how you could end up distracting yourself from a problem with your tresses! However, this statement notwithstanding, it was very clear that McConaughey was having hair problems. Then boom! When you watch the David Letterman Show in 2001 when McConnaughey was the guest, you are astonished to find him with a head full of hair! David asked McConaughey outright about it. However, the answer that Matthew gave could only be termed as pretty unconvincing or downright shady. “Regenix” – that is what he said. Snoop around, and you see that Regenix “cleanses”, “stabilises” and “develops” your tresses. Well, this was supposedly “personalised medicine”. 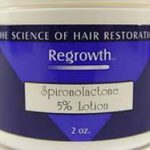 There are about a couple FDA approved hair-regrowth products, but none of them can be attributed to such dramatic hair-growth, when Regenix has not made the FDA list. There is no “cure” for male-pattern baldness. Minoxidil slows down the rate of hair loss; although once you stop using it, hair loss returns. McConaughey insisted he would massage the product into his scalp for 20 minutes every day. Manual stimulation of such hair growth just cannot be attributed to any single product that was in the market back then. 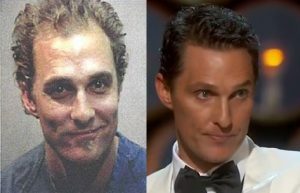 It’s obvious that Mr. McConaughey didn’t want to give his secrets away. 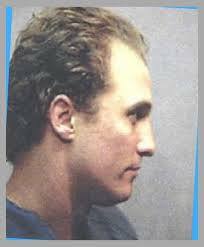 It is not preposterous to think that McConaughey went in for a hair transplant in 2000. You can’t blame him for having fake hair during the Letterman show, but his proclamation of success is pretty hard to go with, considering the faulty logic. 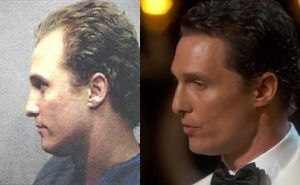 Less than 8 years later, when McConaughey was almost forty, you see a hairline that looks way better aesthetically (especially when you think of the mugshot from a decade earlier), and much fuller in the movie “Surfer, Dude” – but it doesn’t entirely give off the “luscious tresses” vibe either. It could have been thicker. The hair transplant suspicion seems to tally here. It is a procedure that involves removing healthy hair from the back and sides of the head and transplanting it onto the bald spots. You just wait after that. It isn’t a fool-proof procedure. You may have to repeat it, considering how your hair is shed naturally on a daily basis. This is because the rest of the hair can still miniaturise and lead to hair loss. Miniaturisation is the shrinking of the hair follicle, leading to the shrinkage of the hair strand itself, albeit slowly. MPB (Male Pattern Baldness) is caused by a sensitivity to the biochemically active form of testosterone – the “macho” hormone – DHT (Di Hydroxy Testosterone) and eventually makes men go bald. DHT inhibiters like green tea, flax seeds, sesame seeds, pumpkin seed oil, and saw palmetto could help you keep hair loss at bay. 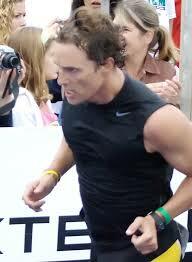 The Norwood 3 was down to a 1 by 2008, when we noticed McConaughey at the Nautica Triathlon in Malibu. There was no frontal “island” of hair. 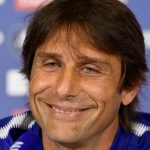 Compare this picture to the one from 1999 and you just know for a fact, that he had at least one hair transplant procedure performed on him. There was a picture of him with damp hair, while getting out of the water- which gave us a chance to appreciate the pretty noticeable change from before. 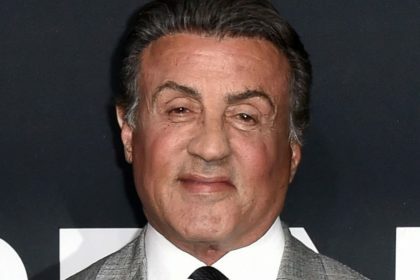 His hair seems to be fuller at the temples and thinnest behind the hairline, again suggesting that he could have suffered from androgenetic alopecia at the time. Fast forward to 2014, and we have a McConnaisance! He looked every bit the Academy Award winner at the Oscars, with a perfect hairline. It is perfectly plausible to think of McConaughey opting for hair loss concealer products like KeraFiber, Toppik, or DermMatch or Caboki. A-listers are expected to get dolled or made up for this grandiose annual event. McConnaughey was perfect- he made us laugh, cry and inspired us with élan. He won all our hearts. Temporary hair loss concealer products did not seem to be the go-to solution this time though. I think, yes! Not just one, but definitely at least two. Have we ever really witnessed Matthew Mcconaughey bald? No. Almost never. But, hollywood is way too particular about its A-listers looking picture-perfect. Imperfection isn’t easily tolerated. Actually, not tolerated at all, what with every spectator morphing into critics screaming for non-tackiness. So, it would only make sense that story of Matthew Mcconaughey hair transplant is in fact a reality and he probably wanted to keep a low profile about having the procedure because of how judgemental people in Hollywood can be. 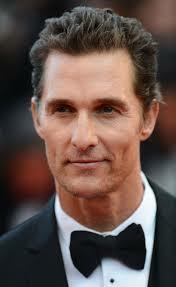 McConaughey is very well known for his string of highly popular romantic comedies. He portrayed the varied love interests of all the female protagonists with ease. How did he do that? Of course, he got away with his handsome, easy going personality. 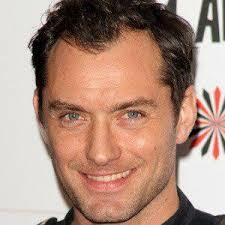 Having pretty tresses is one of the top requisites for a hunk in a rom-com. Hollywood hair transplant surgeons help specialize in maintaining and restoring hair for their patients. Modern FUE (Follicular Unit Extraction) are the best this way! You could also “top-it-up” for a more subtle impression, so it doesn’t look drastic. The above pictures are taken 15 years apart from each other, and the difference that you see clearly is just mind-boggling. No, he has not just stopped his hairline from receding, but has also managed to regrow hair in all the right places. How in the world can something like that happen with any hair loss product? The answer clearly points toward hair transplant. Don’t get me wrong though. 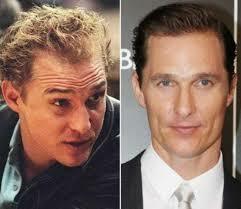 McConaughey is a brilliant actor and probably doesn’t need hair to make him better on screen. But the truth of the matter is, when you have access to the best treatment that money has to offer, why in the world would you turn it down? I know for fact I certainly wouldn’t! In 2017, McConaughey talked about Regenix and how he got rid of a “silver-dollar” on his head in The Kelly Show. Host Slater was surprised with McConaughey being consistent with his Regenix story and called it a possible “miracle solution”. Regenix would be a great thing, if we were to just believe what McConaughey said. Is it possible that he went ahead with the “hair growth since 1999” scenario vs. now with Regenix to hype it all up? Matthew McConaughey hair piece could’ve been a possibility. Many celebrities will cover bald spot with short extensions? Matthew McConaughey hair plugs could’ve been a possibility too. Hair plugs are another easy solution to a lot of problems. He also talks of having haircuts on particular days of the moon cycle in an interview with Elle – especially on days when the moon was going to be full- i.e., a full, heavy waxing moon and never having haircuts on days when the moon was waning. We will never know for sure if he has visited a hair transplant clinic. However, we also have a “Dave” telling us that a Dr. Konior in Chicago performed HT (hair transplant) procedures on MM over a four-month period. If this were true, Matthew McConaughey’s hair transplant clinic visits would be a reality. One thing however is not going to change. Matthew McConaughey is very talented and I doubt I’d ditch his films just because I had issues with how unnatural (or not) his hairline is.